Arthur Ira Garfunkel was born in born in 1941 in Forest Hills, Queens, New York City. 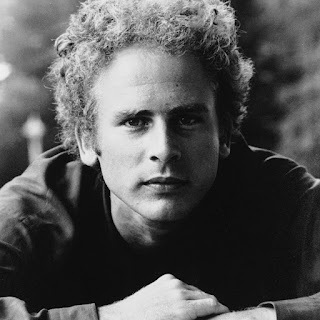 His father, Jacob "Jack" Garfunkel, was a former actor but earned a living as a traveling salesman and his mother, Rose (née Pearlman) had three children, Arthur was the middle boy and loved to sing from a young child. When he was growing after his father bought him a wire recorder he spent his afternoons singing, recording, and playing it back, so he could listen for flaws and learn how to improve. Aged 11, he met his future singing partner Paul Simon, when they were both cast in the elementary school graduation play, Alice in Wonderland, in the sixth grade. After Paul Simon heard Arthur sing a rendition of Nat King Cole's "Too Young" in a school talent show, he became interested in singing. Paul Frederic Simon was born in 1941 in Newark, New Jersey. His father, Louis was a college professor, and dance bandleader who performed under the name "Lee Sims". His mother, Belle was an elementary school teacher. In 1945, his family moved to the Kew Gardens Hills section of Flushing, Queens, in New York City. Growing up Paul developed an interest in jazz, folk, and blues, the listened to the music of Woody Guthrie and Lead Belly. Paul and Arthur started singing together when they were 13, and occasionally performed at school dances. 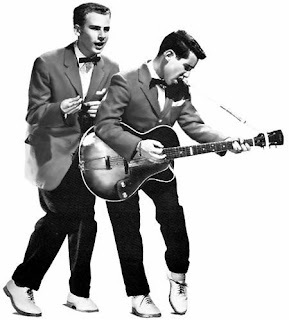 They practiced the close two-part harmony of their idols, The Everly Brothers. By the age of 13, with the help of his father, Paul was beginning to write songs and wrote, recorded, and released more than 30 songs between 1957 and 1964. After they reformed, they got an audition with Columbia Records and produced a folk flavoured album called, Wednesday Morning, 3 A.M. in 1964. It was released under their own names, Simon and Garfunkel, but flopped. Paul Simon moved to England to pursue a solo career, He met Kathy Chitty while touring the folk clubs and she became the inspiration for "Kathy's Song," among many other songs. In 1965, he recorded the solo album, The Paul Simon Songbook in London. In 1965, after he heard the track was popular on East Coast, radio stations, their producer Tom Wilson decided to overdub electric backing to "The Sound of Silence", from the Wednesday album, When the single was released it topped the US Charts in 1966. Success caught them all by surprise and Paul Simon came back to the United States to reunite with Art Garfunkel. Sounds of Silence was hasely put together and released in 1966 to to capitalize on the success of the single. 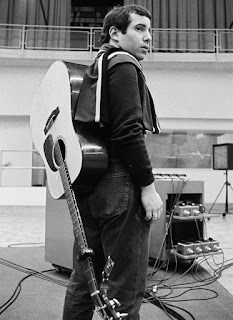 Many of the songs were written by Paul Simon while he lived in London, and had previously featured on The Paul Simon Songbook, (1965). Simon and Garfunkel recorded those for the album which included a new “I am a rock”. The single made the Top Three in the US and the Top Twenty in the UK. The album also included a version of Davey Graham’s "Anji,” which Simon and Garfunkel performed at a church concert at the Kraft Hall, London. The duo under took a series of sell-out college campus shows, before releasing Parsley, Sage, Rosemary and Thyme (1966). Their earlier albums had been erratic but as Paul Simon sharpened his song-writing, the duo became more comfortable and adventurous in the studio. They spent almost three months in the studio recording Parsley, Sage, Rosemary and Thyme , which largely consisted of acoustic pieces mostly written during Paul Simon's period in England. Paul took total control in aspects of recording and the album was taped on an eight-track recorder. It ran over budget and was nervously released but peaked at number four on the Billboard Pop Album Chart. Parsley, Sage, Rosemary and Thyme included “Homeward Bound” and "Scarborough Fair/Canticle" which had previously sold well as singles. The album also included Art’s tenor solo rendition of "For Emily, Whenever I May Find Her", as well as the sound collage "7 O'Clock News/Silent Night". Another memorable recording which captured the Summer of Love was "The 59th Street Bridge Song (Feelin' Groovy)". Now vanguards of the folk revolution the duo resumed their college circuit tour and were prevented them from doing television appearances unless they were allowed to play an uninterrupted set or choose the set list. Bookends (1968) was produced by Paul Simon, Roy Halee and Art Garfunkel. The album contained mostly Simon compositions and was in essence a concept album exploring a life journey from childhood to old age. The theme serving as literal bookends to the life cycle. By happenstance much of the material featured in Mike Nichols’ The Graduate, and “Mrs Robinson”, the single became the focus of popular attention. Bookends was long in the planning and recorded at Columbia's Studio B at the CBS Studio Building in Manhattan with the support of session musicians. It took shape over the period of twelve months, with production speeding up around the later months of 1967. Simon and Garfunkel appeared at the Monterey Pop Festival, before the album was released. This was several weeks after the movie and sound track had been seen and heard and propelled the duo into super stardom and to the forefront of the cultural movement in the 1960s. Bookends topped the charts in both the US and UK, and became the duo's best-selling album to date. In the aftermath, Paul Simon was approached by numerous film producers who wanted him to or license a track; or score their films or license a track; but he declined. Nichols had Paul Simon earmarked to play the character of Dunbar in his next film, Catch-22 but his part was written out, instead Art played the role of Captain Nately. The film was shot over 1969 and the unexpectedly long separation put pressure on the relationship between the duo. They did a short American tour after filming before completing the material for their next album in early 1970. Bridge over Troubled Water was the fifth and final studio album and released in 1970. Again most of the tracks were written by Paul Simon and musically combined rock, R&B, gospel, jazz, world music, pop as well as other genres. The credited musicians were Simon and Fred Carter, Jr. on guitars, and Hal Blaine on drums, Joe Osborn on bass and Larry Knechtel on keyboards, all of whom were famous Wrecking Crew members. Simon & Garfunkel became the first musicians to use 16-track recording, but as only two 8-track recorders were available, both had to be carefully manually synchronized to produce a clear sound. The final album tracks included two of the duo's most critically acclaimed and commercially successful songs, "Bridge over Troubled Water" and "The Boxer." The album topped the charts in over ten countries and sold around 25 million copies. The story of the making of the album is told in the documentary The Harmony Game (2011), featuring interviews with both Simon & Garfunkel and various collaborators. During the recordings of Bridge over Troubled Water, Paul and Art became independent of each other as the recording process was tough for both musicians. A brief tour followed the album release, and the duo's last US concert as Simon & Garfunkel occurred at Forest Hills Stadium. Queens. Their breakup however, was almost certain considering the deterioration of their relationship and their formal partnership as a duo was dissolved in 1970 at the height of their popularity. Both went onto successful solo careers in quite different directions. Garfunkel continued his film career, while Simon worked intensely with music. Both released solo albums in the following years. Art Garfunkel reunited with Simon in 1981 for The Concert in Central Park and a world tour. They had significant disagreements during the tour. Again in 2003, they reunited when they received a Grammy Lifetime Achievement Award. This reunion led to a US tour: the acclaimed "Old Friends" concert series. It was followed by a 2004 international encore, which culminated in a free concert at the Colosseum in Rome. The final concert drew 600,000 people. In 2010, Simon & Garfunkel announced a 13-date tour with most performances scheduled for Canada, with four shows in the upper Midwest of the US. The reunion was cancelled indefinitely and the duo remain musically estranged.